← How Pixar surprisingly missed the mark with empathy in Toy Story 3. 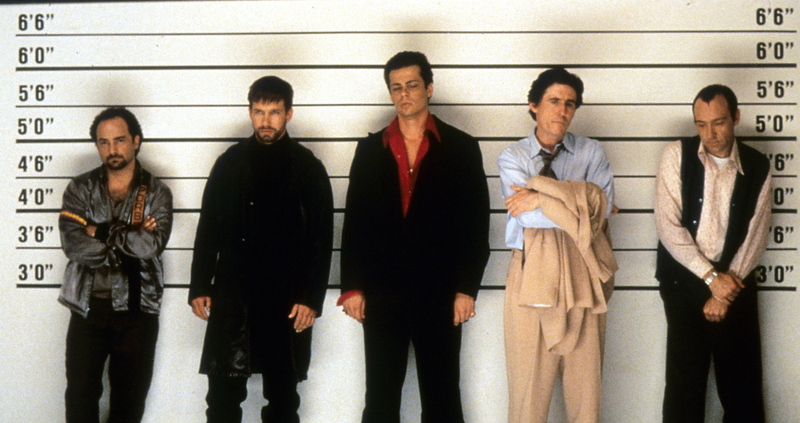 Machiavellianism and The Usual Suspects. You can find this article in its entirety HERE. Much effort has been made to define empathy and how its ability to emotionally connect characters to one another and subsequently drawing an audience deeper into a story – as well as its ability to cause both cognitive dissonance with a main character’s obsessive drive as with Scottie in Hitchcock’s Vertigo where the audience’s empathy suddenly shifts to the murderer’s accomplice. While most of the discussion so far has been focused on the positive attributes as they pertain to story structure based on audience perspective, there are, as we’re about to see, negative attributes that can be just as powerful in telling a compelling story, creating multi-dimensional characters full of surprises. Empathy itself is one of the cornerstones of something larger called Emotional Intelligence (EQ). Not long ago, psychologists began to understand what we know as IQ isn’t necessarily the biggest indicator of success and that there’s a social factor involved – one needs to look no further than perhaps John Nash in A Beautiful Mind for an exemplary motion picture – and that the ability to monitor one’s own and other people’s emotions, to discriminate between different emotions and label them appropriately, and to use emotional information to guide thinking and behavior has a large bearing on one’s success as well. The problem is that EQ is “morally neutral”. It can be used to help, protect, and promote oneself and others, or it can be used to promote oneself at the cost of others. In its extreme form, EQ is sheer Machiavellianism–the art of socially manipulating others in order to achieve one’s own selfish ends. When used in this way, other people become social tools to be used to push oneself forward even at considerable expense to them. We’ve found a new home! You can read the rest of this article as well as others HERE. This entry was posted in Emotional Intelligence (EQ), Empathy, Perspective, Story Structure and tagged Emotional Intelligence (EQ), Machiavellism, Manipulation, Perspective, Psychology, The Usual Suspects. Bookmark the permalink. 5 Responses to Machiavellianism and The Usual Suspects. Was considering showing this to my friend, a cinema arts major. You just convinced me. Can’t beat the well-constructed plot of this beast, it’s uncanny. I kind of liken the movie to having the filmmakers with a marionette of Verbal, who in turn controls a marionette of the other characters with one hand and a marionette of the audience in the other – angling their perspective so they can only see what he wants them to see, when he wants them to see it. And that’s another reason why I want to show it to my friend. I’ve seen it enough times that the memory of my first viewing is a little diluted. I do remember struggling with trying to get a handle on what the story really was about, who was the main character, etc. Watching it now, I do it to watch Verbal expertly lie through the course of the movie. To see the magician do a long trick, basically. The first time around, though, there’s no awareness on the audience’s part of a trick being played, so finding the spine and purpose of the story is almost impossible. I have to agree with Ebert to an extent. This movie is more of an intellectual trip than an emotional one, so it’s no surprise we’re not connecting to the characters in the way that we would do in, say, Shawshank. Exactly – it’s not like we’re rooting for Butch and Sundance as they knock off banks, though they have their own coda in doing so – but all the more reason why Verbal is more sympathetic, otherwise it just wouldn’t have been as big of a surprise. Pingback: Horror films and identity: the one thing every major horror film since 1960 has in common.